^^ one of the cutiest icons I've ever seen. It looks like it should be for a children's storybook. You mean the way he is depicted, don't you? Can someone with knowledge of Serbian history explain to me the sainthood of Sefan Lazarevic? It seems strange and anticlimactic to me for the son of Tsar Lazar, after his father's death in the Battle of Kosovo, to take up the role of Ottoman vassal, join the Ottomans in battle against his fellow Christians, and still receive the title of sainthood. 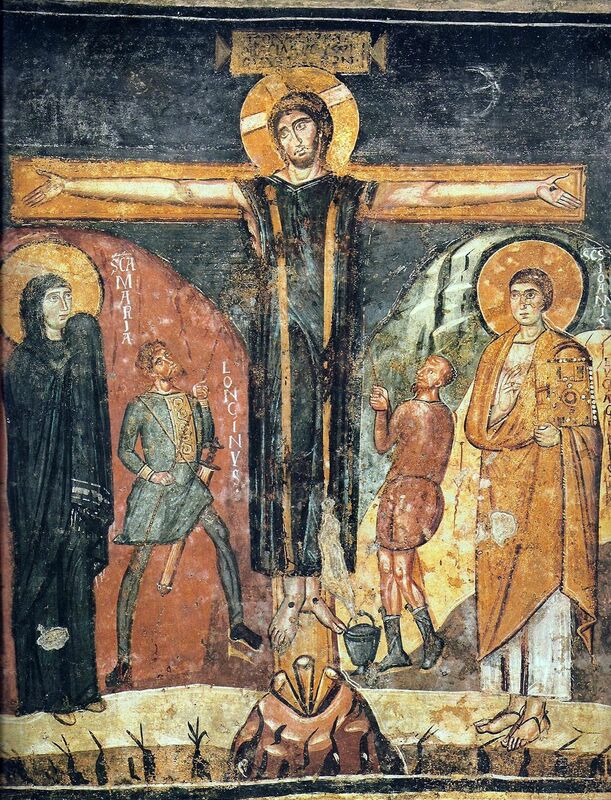 But then he was fighting against Ottomans, plus was the initiator and found of construction many Serbian monasteries and churches, including Manasija monastery. Due to him Serbian culture and spiritual (and not only) literature had a period of reinnesance, due to it we managed to keep our identity the period under the Turks. I guess the lack of halo is a redeeming quality, but why paint The Father of Medicine with Christ at all? I could imagine because the Hippocratic oath is filled with Christian morals, even though he was a pagan. He even opposed abortion and euthanasia, something that is debatable these days. St. Justin Martyr would list him a Christian. That's a very particular application for a very particular purpose. I doubt Hippocrates would've been communed without baptism based on this. Sure, but maybe whoever did this art was thinking about that. Or it's just Hellenism indeed. Maybe he's been crying over Trullo 82. Certainly interesting, and white, IMHO, could just as easily sybolize heaven and divinity as much as red does, but then the blue loses its meaning. If we are going to use white, we should use red rather than blue. 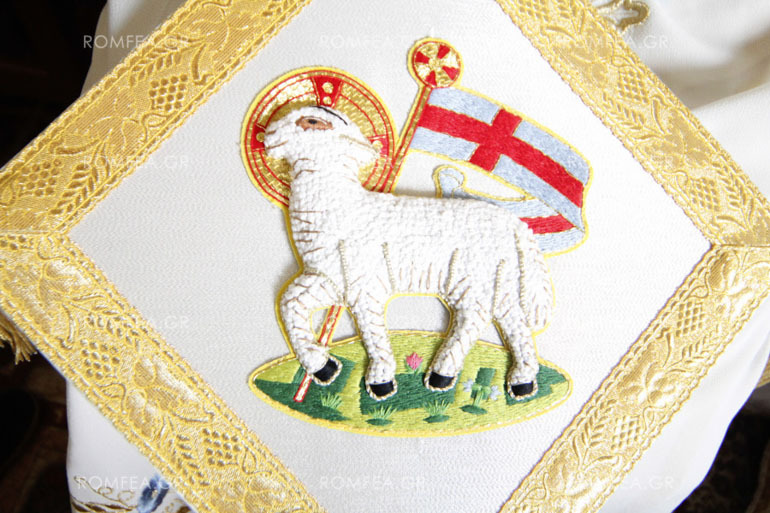 The white for heaven and divine light, the red for flesh and blood. Isn't this how it is done in Coptic icons anyway? 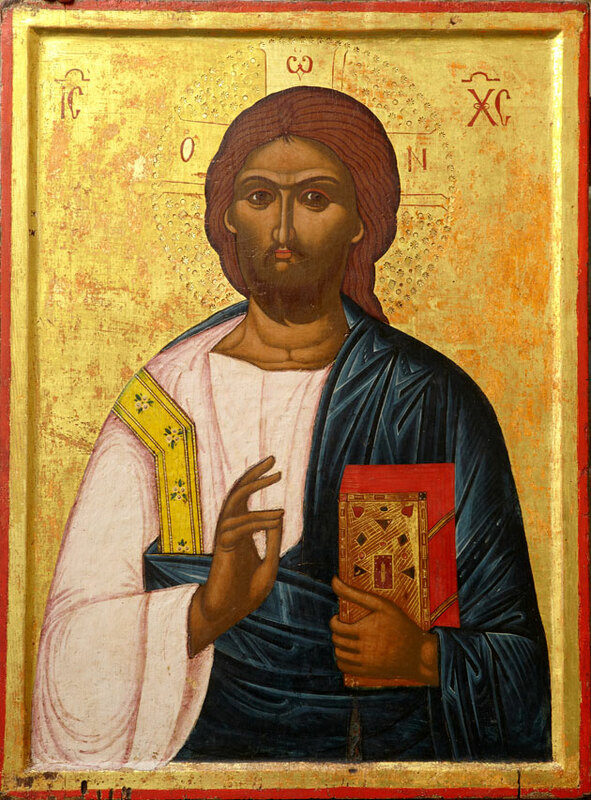 It appeared to me as if the iconographer painted a theft in progress. 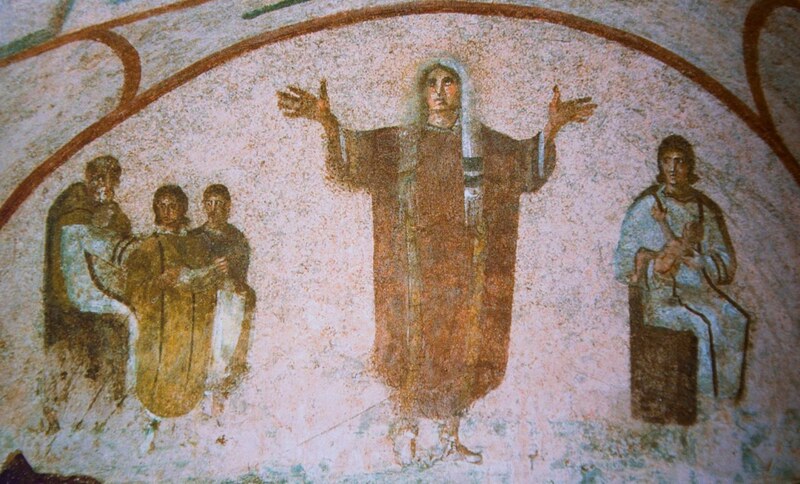 I thought that the woman in the catacomb was a woman who had been buried there, not the Mother of God. 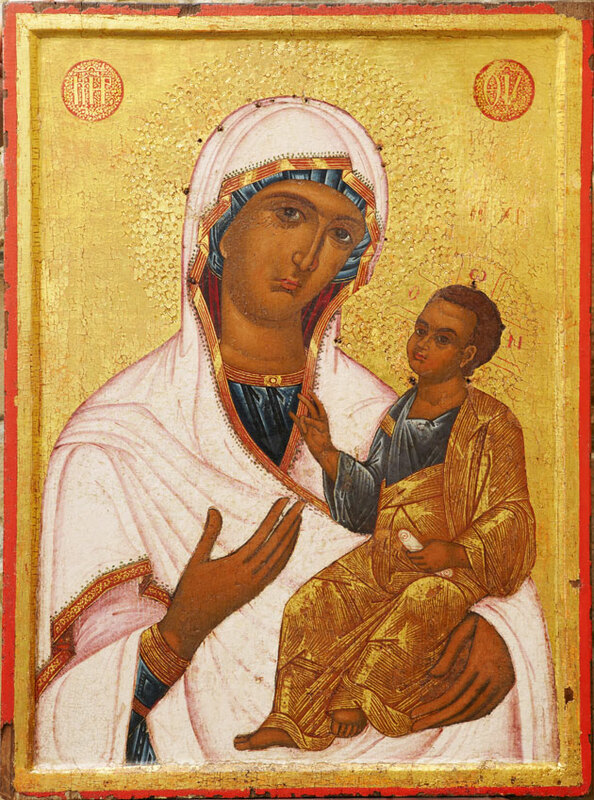 There's another variant of the Virgin of the Sign which also shows the child in the womb as an actual unclothed infant but with a less naturalistic posture. I read the information at those links and still see nothing wrong with that icon. It does not conform to any of the Canonical Types (tm) listed in the Sacred LBK Database. 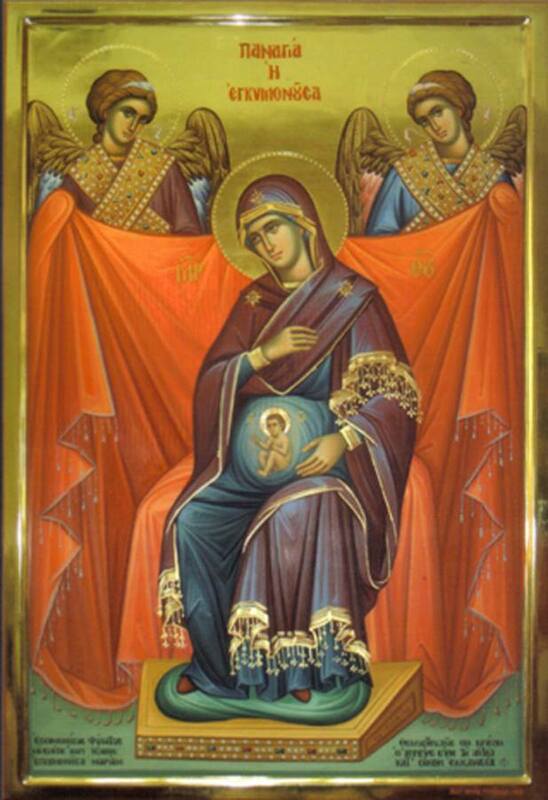 I'm not sure what's wrong with it, per se (and I'm no authority), but it does seem strange, as in the "Strange Icons" thread, to have a pregnant Theotokos and unborn Christ. So in that sense, it does seem to differ and be anomalous to most accepted traditional depictions. Perhaps that's what LBK's criticism is. 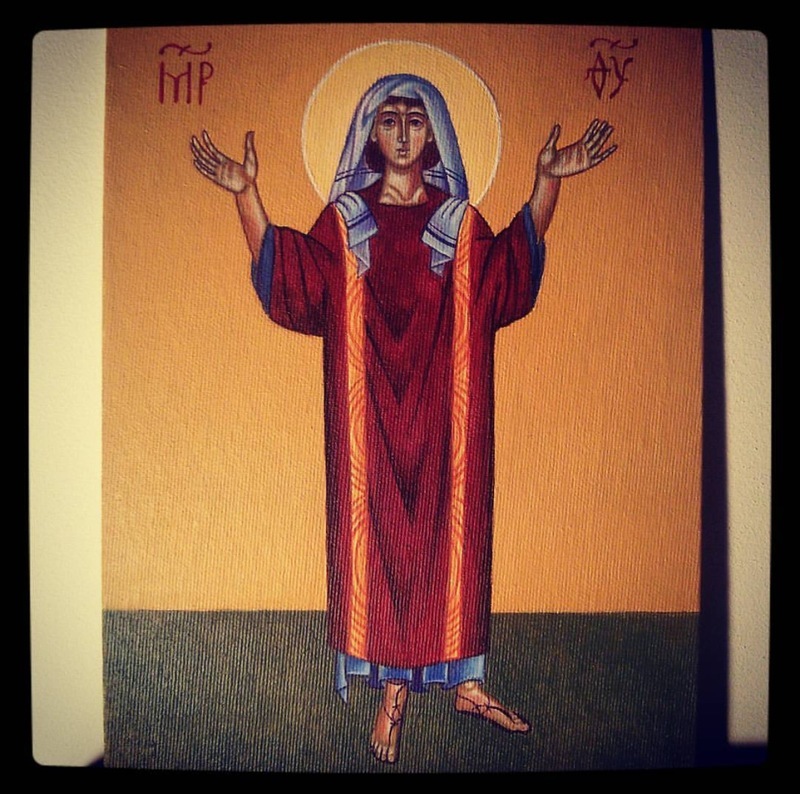 At a certain point in time the Theotokos of Vladimir or the Rublev Trinity would have probably looked a bit odd too. I'm sure there was an LBK back then too. ^Sorry, Metropolitan Tikhon. You'll have to actually become a saint to get on the wall now. Are these primates of EO and EC churches? ^^ yes. But most of them is difficult to recognise (at least for me).